Telling stories: Pikachi (Seiji Nozoe) waits for his chance to move up from the bottom rung in the rakugo (sit-down comedy) hierarchy in Yuji Kanda's "Tokyo Teyandei: The Story Teller's Apprentice". | © 2012 "TOKYO TEYANDEI" SEISAKU IINKAI ALL RIGHTS RESERVED. Rakugo, the ancient Japanese art of sit-down comedy, has inspired movies including Shinpei Hayashiya’s “Rakugo Monogatari (Rakugo Story)” (2010) and Hideyuki Hirayama’s “Shaberedomo Shaberedomo (Talk, Talk, Talk)” (2007), but Yuji Kanda’s “Tokyo Teyandei: The Story Teller’s Apprentice” (simply called “The Story Teller’s Apprentice” in English) is probably the first to unfold entirely backstage at a Tokyo yose (variety) theater. Based on a hit play by the Uwanosora Toshiro-ichiza theater troupe, the film tracks the comings and goings, ups and downs in the theater’s green room in the course of one day’s program, if not in real time. As might be expected, there are gags aplenty, though we see no actual rakugo performed. Instead we glimpse faces in the audience and hear snatches of laughter and applause from the point of view of the performers behind the curtain. Taking hints from incidents in the lives of real rakugo storytellers, the script by Kanda, Toshiro Muraki and Mami Tsuchida delivers a small, steady stream of laughs, with jokes ranging from the obvious to the absurdist, together with a story that begins and ends beyond the theater walls. Kanda’s treatment, however, is unabashedly stagey, with no background music or CGI sight gags to pump up the action and make it more movielike (that is, more like other local comedies playing at the multiplex). At the same time, the film has the ring of showbiz truth, from the bloated egos to the petty rank-pulling. Yes, it’s inside baseball to the nth degree, but the struggles of its hero to survive the day illuminates common human fears, including the one of never gaining a foothold on the ladder of success. He is Pikachi (Seiji Nozoe), the apprentice of an eminent rakugo master (Masao Komatsu) and still an opener for other yose acts nine years and five months after starting. That is, he is still near the bottom of the rigid rakugo hierarchy. This is also nine years and five months after Pikachi (then known as Kinoshita) told his girlfriend, the sweet-faced Yoko (Keiko Shirasu), that he would not see her for four years to concentrate on his new profession. Now Pikachi (a name his sadistic master derived from the Pokemon character Pikachu) is in charge of the green room, keeping careful records of performances and making sure the stage is never empty. It’s this latter task that gives him the most grief — and generates most of the comedy. As if herding the cats who are the yose’s various acts weren’t annoying enough, he has to deal with a flaky theater owner (Yumi Adachi) with a hankering for the footlights but no discernible talent, and a nosey women’s magazine reporter (Nao Minamisawa) looking for a big story — and finally finding it when a certain flash from Pikachi’s past walks into the green room. The headline act, however, is Pikachi’s master (Komatsu), an eminence of the rakugo world who rarely deigns to grace the humble yose theater with his presence. The waiting for this particular Godot gives Pikachi the biggest of his many headaches. The characters are a compendium of types, including a full-of-himself juggler (Kiyotaka Yamada) who woos the reporter with his pudgy middle-aged charms, a loquacious fill-in (Katsunobu Ito) who stoutly refuses to work unless “push comes to shove,” by his own definition of “shove,” and a tall, insecure beanpole of a rakugo artist (Masaya Nakamura) who is sent out again and again to the stage by a desperate Pikachi — and is again and again cut down to size by the stone-faced audience. The antics of this green-room crowd are amusing enough, but in a style more akin to blackout skits, with their quick setups and payoffs, than a real movie. As played by veteran stage and screen actor Nozoe, Pikachi is the only character with any depth, as well as having a story that begins before the film’s big all-deciding day and, at the end, projects beyond it. Pikachi is also the straightest of straight arrows, especially by the bent standards of his colleagues. In fact, in his diligence at doing his job, as well as his anxiety at screwing it up, he comes across as a salaryman manque, down to his nerd glasses. He is funny, especially when trading barbs with a new apprentice (Sentaro) who claims to be a Tokyoite born and bred, but looks suspiciously African in origin. There’s also something sad about this never-give-up no hoper, however. What can put a smile on his face? I can’t say here — but “The Story Teller’s Apprentice” will put one on yours. 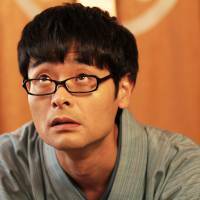 Fun fact: Star Seiji Nozoe is the cofounder and current director of the Gekidan Haegiwa theater troupe. 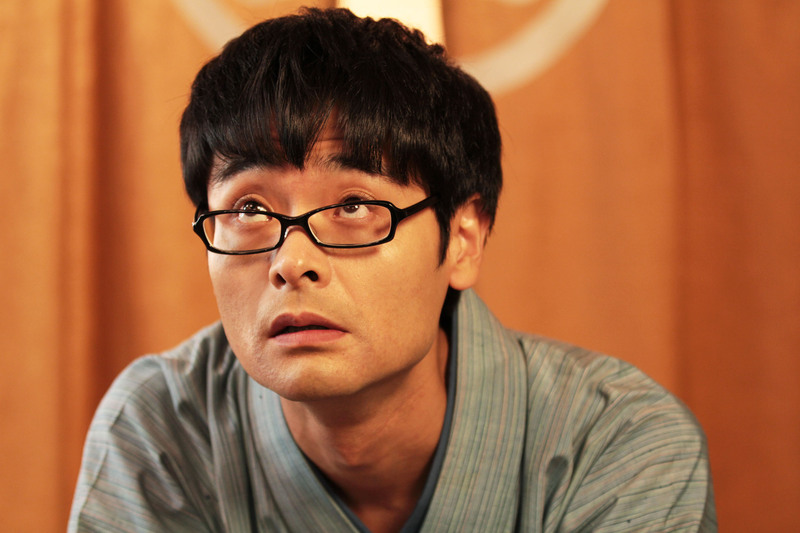 His 2011 play “Toaru Fukei” won the Kunio Kishida Award, Japan’s most prestigious drama prize.